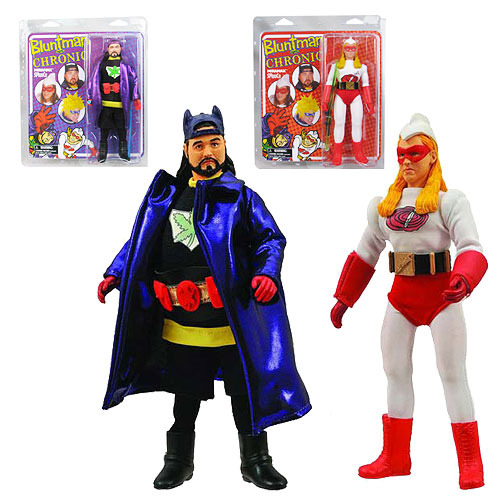 Shopping for Jay and Silent Bob Action Figures? Each figure includes a real fabric costume and a removable weapon, and will fit into your 8-inch retro collection like it was made in the 1970s! Designed and sculpted by EMCE Toys!